Japan-U.S. Economic Dialogue was held on April 18th in Tokyo. The dialogue was co-chaired by Deputy Prime Minister Taro Aso and Vice President Mike Pence and the two leaders issued a joint press release agreeing to structure the dialogue along the three policy pillars: trade and investment rules/issues; cooperation in economic and structural policies; and sectoral cooperation. The press release basically reaffirmed what was agreed to by Prime Minister Shinzo Abe and President Donald Trump in February this year during the bilateral summit meeting in the U.S. Both Vice President Pence and U.S. Secretary of Commerce Wilbur Ross who was also visiting Tokyo at the time indicated that the Trump administration would eventually like to see a bilateral trade agreement vis-à- vis Tokyo. During the presidential campaign, Donald Trump repeatedly criticized multilateral trade agreements including NAFTA and TPP as job-killing trade deals and vowed to open foreign markets for American products through tough bilateral trade negotiations. To avoid another trade friction with the U.S., Japanese government tried to steer clear of issues such as bilateral trade imbalance, weak yen and specific market access agendas like autos or agricultural products. Instead, Abe administration sought to use the opportunity to discuss overall regional economic agenda and high- standard economic rules to frame the ongoing regional economic integration. As it turns out, the Economic Dialogue started rather quietly against some expectations that Trump administration would try to launch a bilateral FTA negotiation and pry open Japanese market. Strategic and domestic political factors lie behind this reserved U.S. posture. First, under the current strategic environment in East Asia with North Korea ever more defiant to develop ICBM capabilities and nuclear arsenal, as the "secretary of reassurance (Apr.16, Washington Post)," the Vice President could not afford to show the world that the U.S. and Japan were divided over tariff on beef. Secondly, President Trump's delay in filling critical leadership posts has prevented the administration to start a full-fledged trade negotiation vis-à- vis Tokyo. Various media reports explain this delay as a product of power struggle inside the White House. The policy realists and business practitioners have a head start in building their team under National Economic Council led by Gary Cohn or Secretary Steven Mnuchin's Treasury Department. This relative increase of the realists' influence within the Trump administration is one of the reasons used to explain the policy flip-flops of the President during his first 100 days. Despite his campaign promises on alliance management, China's currency manipulation, or FRB's macro-economic policy, the President has changed his position. President Trump has repeatedly confessed his frustration on the complexity and sluggishness of politics or diplomacy. Aside from the presidential learning curve, many believe that the rise of the policy professionals is behind the somewhat down-to- earth policy decisions by the Trump White House. According to a poll done by the Chicago Council on Global Affairs, contrary to wide-spread belief, even the Trump supporters were not necessary against strong U.S. commitment to overseas afairs. What separates policy elites and the general public in terms of foreign policy is the negative impact of free trade and immigration on domestic jobs. On this regard, the general public is much more wary about the ongoing globalization than the opinion leaders though there is a general consensus on the direction of U.S. foreign policy as a whole. Therefore, it is possible that the recent "flip-flops" on the part of President Trump is not really a flip-flop but aligning more accurately to the positions of U.S. public to begin with. The implication of this U.S. political development for Japanese economic diplomacy is that despite the quiet beginning of the bilateral economic talk, Trump administration's desire to opt for bilateral negotiation over multilateral negotiation will pose more difficult challenges for Japanese trade negotiators. Recently, Japan has decided to push for TPP11 framework that is TPP without the U.S. It is diplomatic efforts such as this, along with RCEP and Japan-E.U. EPA, that could create an incentive for the U.S. to remain committed to the regional architecture in East Asia. Japan needs to draw a bigger picture to promote its economic foreign policy and stop thinking how she could ask for a discount when Donald Trump plays hardball. 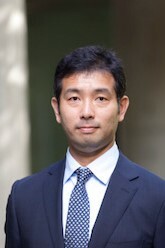 March 2019: "The Present State and Prospects of the Indian Economy and Economic Policies" written by Koji Kobayashi, Senior Economist Mizuho Research Institute Ltd.
July 2018: "US North Korea policy affected by personnel changes in the Trump administration" lectured by Tsuneo Watanabe, Senior Fellow of the Sasakawa Peace Foundation. "China-North Korea relationship under Xi Jinping" lectured by Shin Kawashima, Professor of the Tokyo University. "North Korean Denuclearization and Russia" lectured by Nobuo Shimotomai, Professor of the Hosei University. July 2017: Proposal article "The Trump Administration's Impact on the Cross-Strait Relations" written by Yasuhiro Matsuda, Ph.D.
February, 2017: Proposal article "Trump's Foreign and Security Policy - Unpredictable President, Realistic Secretaries - " written by Mr. Tsuneo Watanabe is posted on the website of SSDP. December, 2016: Proposal article "Reconsidering North Korea Policy: How to Deal with a Nuclear Armed Divided States" written by Professor Masao Okonogi is posted on the website of SSDP. November 2018: "The Present State of the Japanese Economy and Policy Issues" lectured by Motoshige Itoh, Professor Emeritus at the University of Tokyo. November 2018: "Expanding Social Security Expenses and Fiscal Reforms" lectured by Kazumasa Oguro, Professor at Hosei University. September 2018: "Japan-Taiwan Dialogue 2018 Minutes", 21st June 2018, Taipei, Taiwan. July 2018: Report on The Second Japan – Philippines Strategic Dialogue prepared by Ms. Vindu Mai Chotani, Ph.D. Student, Graduate School of Public Policy, Tokyo University. February, 2017: Current topic "The Importance of Japan's Security Role Under Trump" written by Dr. Satoru Nagao is posted on the SSDP website. December, 2016: Current topic "Widening Security Task: Will SDF do the Job?" written by Mr. Ippeita Nishida is posted on the SSDP website. 2017 December: "The Butterfly Project-A possibility of showing a solution to the North Korea problem-"
November, 2016: Participated in Astana Club 2016 held in Kazakhstan on November 14- 16, 2016.